Two hours south of Quito is Cotopaxi, the second highest summit in the country, dominating the landscape with a height of 5,897m. This volcano has been a place of worship for centuries by the native people of the area who believed Cotopaxi was a god. Situated within a national park of the same name, this beautiful area is a place where llamas graze and mountain birds fly. Few places in the world have the power to change the way you see life, but Cotopaxi National Park could be one of them. Here, the awe-inspiring beauty of the Cotopaxi Volcano blends in with the tranquility and peace of the golden paramo ecosystem that seems to extend for hundreds of miles. It's an experience that will make you reflect upon life itself. Your journey starts in the city of Quito, where your guide will pick you up from your hotel and take you south to the Avenue of the Volcanoes. This name was coined by the famous explorer Alexander Von Humboldt, who was astonished by the number of volcanoes that dominate the landscape. 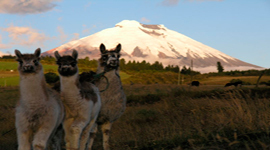 We will visit the home of one of them, Cotopaxi National Park. This is where the Cotopaxi stratovolcano resides, reaching an impressive altitude of 5,897 m (19,347 ft), making it one of the highest volcanoes in the world. 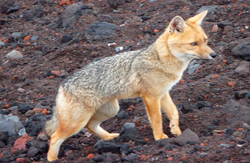 We will visit the National Park along the slopes of this colossal volcano, and we will discover the magnificent beauty hidden in the paramo; your guide will tell you more about the vital importance of this humble ecosystem, and the species that dwell here, such as the Andean condor, the paramo wolf, and many others. 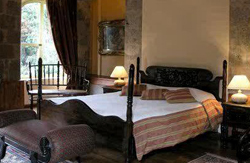 After our visit, we will have lunch at one of the most traditional haciendas of the area, and afterwards we will return to the city of Quito. The Avenue of the Volcanoes in the Ecuadorian Andes is perhaps one of the most impressive portions of this extensive mountain range. In this majestic cordillera, there are almost 70 volcanoes; some of them are not very popular, and others are not active any more, but the sheer number of volcanoes inspired Alexander Von Humboldt to coin the term “Avenue of the Volcanoes” for this portion of the Andes. On this extraordinary journey, we will visit important volcanoes, like Cotopaxi & Quilotoa. This last one houses a lake in its crater, making it a unique and marvelous visitor site. Our first day of this bewitching tour starts with a drive south from the city of Quito to Cotopaxi National Park, the first national park created in Ecuador, established with the hope of protecting the Andean paramo ecosystem. The paramo ecosystem is unique, and that's why many endemic species of flora and fauna have made it their home. Plants and animals have adapted to the unique and harsh conditions of the Andean paramo, like the hummingbirds of Cotopaxi, which are active during the day and then go into a hibernation state during the night to survive the frigid night climate. And, like the hummingbird, many others have developed special techniques to survive in this inhospitable part of the world. 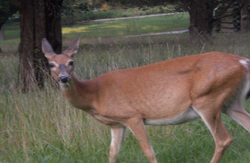 We will hike around the National Park, and your guide will explain to you more about the different species of birds, plants, and mammals that dwell in the area. 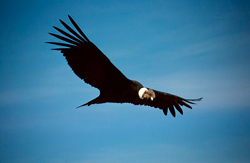 Some of the most well-known species that live in the area are the paramo fox, white-tailed deer,the Andean condor and the spectacled bear. 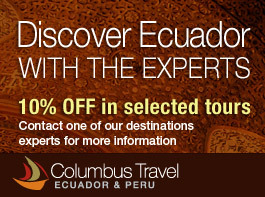 After visiting this magnificent part of Ecuador, we will continue our tour to one of the traditional Andean haciendas. During the colonial time, many of these haciendas were the production centers of dairy, vegetables, and other important products. 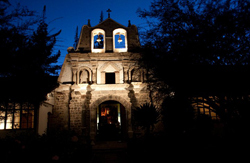 Nowadays, each one of these haciendas guards a fascinating and secret history that is shared only with those lucky enough to visit. We will have lunch in the one of these traditional spots and then spend the night close by. In the morning, we will enjoy a delicious Andean breakfast and continue our journey to one of Ecuador's most fascinating natural sites – Quilotoa. 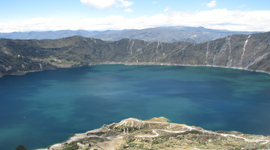 Quilotoa was once a majestic volcano, but 800 years ago, it suffered a catastrophic eruption that tore the peak of the volcano off and left only the caldera. Over time, it filled with water, and today it has become a spectacular lake, surrounded by the steep walls of what was long ago the volcano pipe. On the way to the crater, we will be able to see the indigenous populations of Zumbahua and Tigua. These small towns seem to be caught in time with small, picturesque houses. On certain days, you will see markets, where indigenous people bring their different products to trade and bartering is still the best way to do commerce with them. We will continue to the crater, and upon arrival at the rim, we will have a spectacular view of the lake from the edge of the volcano's crater. Then, we'll descend to the shore of the lake. This is a hike that will demand some effort. On the lakeshore, you'll be amazed by the spectacular view of the surrounding crater. After a short explanation, we will start our return, but not before having lunch close by and enjoying the traditional Andean food.